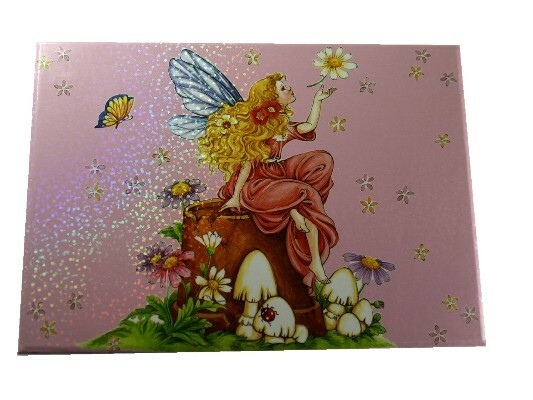 A lovely music box with fairy design. 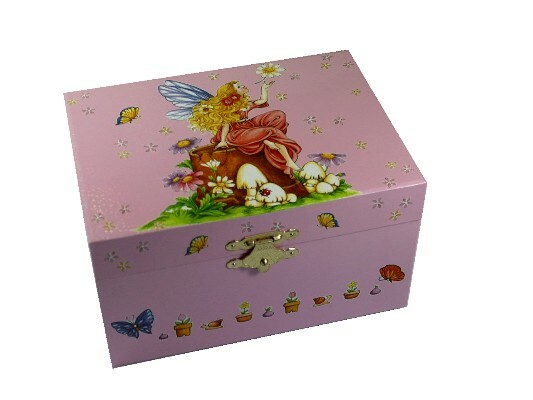 A childrens music box with a pretty fairy resting on the lid, surrounded by flowers and toadstalls. When the lid of this music box is lifted the tiny figurine pops up and revolves to the tune. The music box is made from a thin wood board covered in a glossy printed paper with colourful designs. The velvet lined inside is fitted with a clockwork mechanism wound by a key at the back of the box. Figurine colour may differ from that shown. 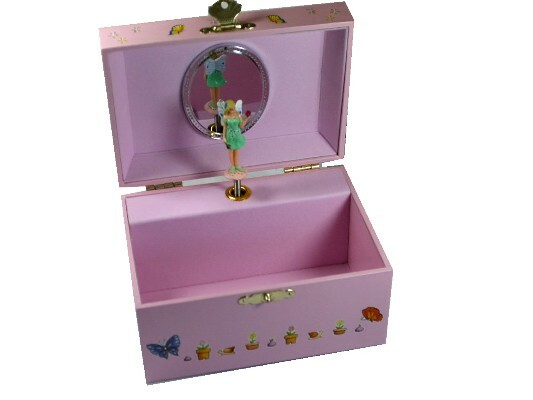 IMPORTANT NOTICE - Please be aware that although these are childrens music boxes suitable for 3 years and over, they do contain small parts and a removable metal key. If you are unsure about suitability, please telephone and ask one of our staff for guidance.